Trivia: It released with 20 prints and had a 100-day run in 16 centers. It created new collection records at the box-office. It celebrated silver jubilee in Hyderabad and Vijayawada centers. 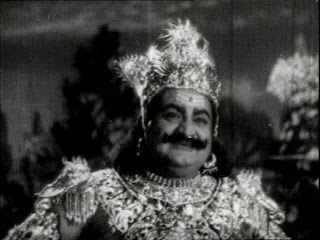 Ghantasala made a special appearance in the film and he was seen in the song 'Seshasailaa vaasa sri venkatesaa' rendered by himself. Art director Rama Rao made the tirupathi temple set at Vauhini Studios, where most of the film's shoot done. Every theatre, Sri Venkateswara Mahatyam is running, turned a temple those days. Rs. 46,000 collected from the hundees, kept in the theatres. Pullayya, the director, added another Rs. 4,000 to that money and given it as 'Viralam' to TTD. 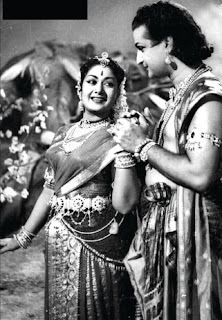 The film was a spring board especially for NTR. It is his performance in this movie that turned him into the most beloved actor of the Telugu screen and stamped him as 'the screen god'. Admirers thronged in thousands every where behind NTR. Another great man behind this grand success was Pendyala Nageswara Rao, the music director of the film. The song 'Seshasaialavasa..' is heard and sung almost every day in Telugu homes till today. All credit to Pendyala for the tune, and all praise to the immortal voice of Ghantasala for rendering it so evocatively. It was well mentioned that both movies Venkateswara Mahatyam (1939) and Sri Venkateswara Mahatyam (1960) directed by P. Pullaiah. 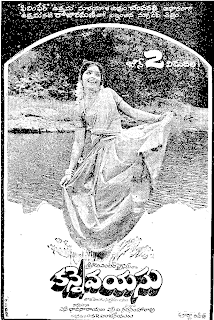 Sri Venkateswara Mahatyam (1960).Find More old news and Reviews in Telugu News.